I haven't officially addressed the public since I ended this self-imposed hiatus on the blog, so I am going to take this space to do so. First, I hope you are enjoying the new layout of the blog - I thought it could use some sprucing up. Make sure to use the links to the left as this blog is really nothing without the people whose creative projects and other endeavours are marked by those little blue pieces of writing on the side. Second, I hope you enjoyed that riveting and heart-wrenching Blonde on Blonde post; it will go down in the canon of English Literature as one of the pillars of its achievement. In general, the blog is back. I have a lot of material to share. There will be a lot of theme podcasts coming up as well as some basketball talk as we get nearer to the start of the season. We will also be welcoming in two guest columnists who will contribute each week. One reason is to take some of the burden off myself from providing content for you selfish people five days a week. The second, is that I wanted to expand the range of voices that are speaking to your from this blog space and I seriously trust the two voices of the people who will be contributing each week. The first "guest" post will be this Friday. In general I hope to be opening up the blog to other guest writers from time to time in order to provide more fresh and interesting content to you all. This blog is a space to express desire, to express a longing for life and an enjoyment of all the various wonders of life: which usually happen to come through Mad Men, sports (basketball), books and music. I want to convey the passion that we all should have for observing and appreciating life - for chasing down that impossible spirit that urges us forward - on this blog and very often that ability is provided to me from the friends I have and the people I meet - so why not bring the ability to communicate on this space to those people as well. I hope you all have been enjoying the blog and will continue to enjoy the blog, because we all have Puddles of Ourselves, this is just the space that copyrighted the name and concept and tends to push that fact in your face. There is a lot more to come and I know that you have missed me. The baseball playoffs are immediately upon us, so why not have a podcast completely devoted to baseball. In this, Episode 24 of Puddles of My Podcast, I welcome longtime friend and lead singer and guitarist for The Sanctuaries - David Stern. 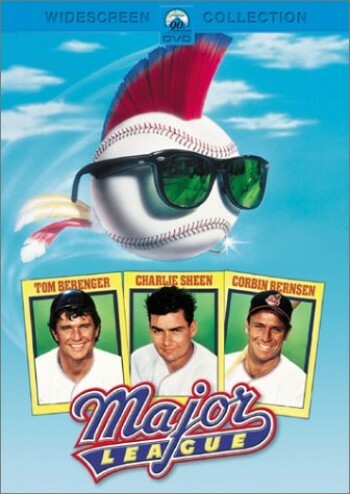 In this installment, David and I predict the MLB Playoffs, the NL and AL MVPs, the NL and AL Cy Youngs, which team has the best color red, which Major League movie is the best, the concept of the "Reverse Major League Movie," the best characters and moments of the Major League movies, cursing in movies and also touch base with the current status of the Sanctuaries. This is an hilarious podcast that I encourage all of you enjoy.